QNE Software Sdn. Bhd (QNE) is dynamic organization located in Kuala Lumpur(KL) that actively provides Business Software Solutions (BSS) to the South East Asia market. With a strong commitment to research and development, QNE is able to provide users with new applications and features that help the users to meet the challenging and demanding business environment. QNE is also dedicated to participate actively in MSC and share the vision towards a K-economy in year 2020. Supported by a localized team of qualified and skilled technical specialists, QNE is capable of providing speedy responses to users which addresses their specific needs and requirements. “A local team that understands the local business, and close to the users” has been a core competency for QNE, and it will remain as the platform for QNE to develop a dynamic relationship with all users. QNE Software Sdn. Bhd. 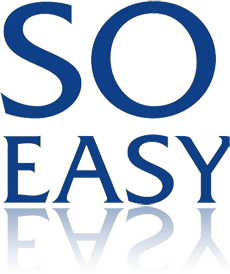 started providing accounting systems in kuala lumpur (KL), Malaysia. 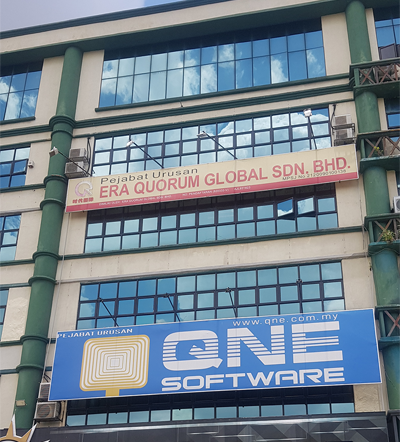 Today, QNE Software Sdn Bhd has more than 10,000 users locally. Apart from a strong local customer base, QNE is also aggressively pursuing new users from other countries to become a global player. 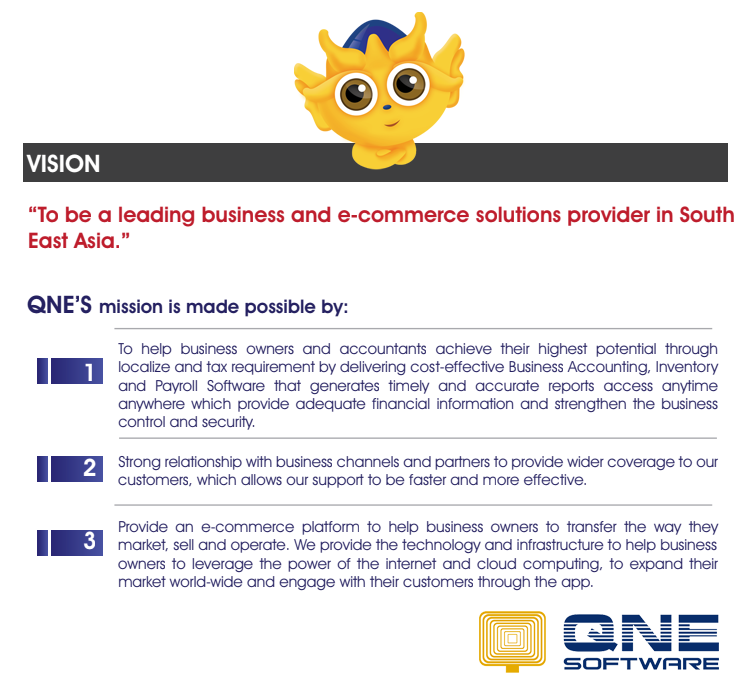 QNE software product range included financial accounting, billing, sales distribution, purchase distribution, inventory, point of sales, payroll and cloud accounting system. The professional services include consultancy, project management, implementation, training and supports. QNE provides several ways for our customers to continually interact with our experienced consultants and customer supports personnel during the implementation and support periods. This is accomplished through telephone, facsimile, email and remote on-line supports. QNE is not only an accounting tools, it provides you with analytic tools such as cashflow status, forecast, profit estimator, stock break-even point, and more to complement your business growth. QNE includes selling price control, purchase requisition control, compulsory entry of sales person/ project/ location/ cheque no. in transaction, credit limit and etc to ensure your business run smoothly. Our seasoned management and technically skilled support group assists your business grow. We are here ready to serve you. We understanding that choosing the right accounting systems can be very difficult decisions, because different industry will require different solutions, even same industry may have similar but different needs. Our groups of certified software professional have carefully examined the products we are carrying by using our years of experience in both accounting & technology to determine the best business software solutions for different business type we serve. we offer solutions for small business, medium and large companies as well. And we are sure our company only sells the best of breed software.